When an artist or band releases something that pushes their level of public recognition up a rung or two on the recognition ladder, the album, EP, or single at hand often gets referred to as “Band X’s breakout hit/album.” Every case is different, as when and how an artist or band crosses that threshold is often a very specified experience. Still, even for the more extreme cases – bands who create a song that spontaneously and dramatically propels them to wide familiarity in the music industry – there’s usually some level of build up that has happened already, even if it was just a period of live performing that took place in an “off-screen” sort of way, for a varying amount of time, which is eventually followed by the release of aforementioned breakout material. 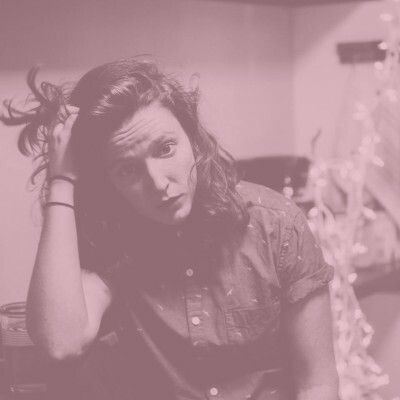 Well, Brooklyn based, indie synth-pop artist, Pronoun, has already shown utter disregard for these kinds of conventional timelines for artist development and, in an amazing twist, it’s worked out fantastically – especially when one considers that up until now, Pronoun had no music fully finished for release. Today, this Boston-New York transplant officially gets on the music map with the release of a debut single titled, “A Million Other Things,” via Rhyme & Reason Records. Check out the stream below! Now, it’s one thing to release a song as a neophyte artist and for it to take so surprisingly well among the majority populous, that piles of progressive things just start happening – and happening fast. It’s another thing entirely, for an artist to book its very first live show ever, and for that to garner the same kind of fast-paced results. Nevertheless, that’s exactly where Pronoun is today. During a month-long residency at New York City’s Pianos, held by visiting alt-folk trio Edison, Pronoun was booked to play during the final of the four nights and the results were jaw dropping. The residency shows were programmed to feature Edison alongside four other bands each week and while it might be presumed Pronoun would be playing to a room of combined fans, there was a sizable crowd present specifically to support its inaugural showing and others followed in suit when word got around the music heard was not from a multi-year act. Impressed shock would be an adequate description, to say the least. Fast forward less than three months later and Pronoun’s first official single serves as a seamless transitional marker in Vellturo’s career. The show at Pianos might have been a fluke after all, right? No, “A Million Other Things” shows that this self-described “emo kid” knows exactly what she wants this music to say and that she has consciously decided to take the path of steady advancement. The just under four-minute single backs up Pronoun’s self-assured stance with a musical introduction that is, in brief: well made, sure-footed in its style, catchy as any hit track made by a seasoned band, and something that most definitely projects qualities that ought to catch the ear of the closet music supervisor in the room. “A Million Other Things” is built on a distinctly indie pop and new wave foundation but manages to steer clear of the box that so many popular tracks have been impulsively lumped into as of late, which is the all-too-vague “80s nostalgia” box. Starting with a 1-2 count kick/snare beat, and quickly adding in a unison sung verse that is minimal in melodic movement, little else makes an appearance before the chorus, aside from a single clean toned lead guitar playing a repeated four note hook. While that might sound like an underdeveloped arrangement for a finished track, it’s just the opposite. Listening carefully to the delivery of the vocal parts, Pronoun is teetering on the verge of a spoken verse – even perhaps a mild whisper – with how the lyrics are sung. A melodic quality in the verses is absolutely evident but regardless, the beginning segment of “A Million Other Things” very subtly and smoothly establishes the idea of building anticipation with these joint compositional and production-centric decisions. One can’t help but feel the song is going to keep expanding and that sense alone, draws focus and attention in. The lyrical alignment that questions beginnings isn’t a bad touch either – whether intentional or not – as it only helps to cement a thoroughly supported thematic vision from multiple angles. The structure of the song stays this course of “verse, verse, chorus” for almost the entirety of its length and when a chugging rhythm guitar part eventually jumps in the background of the chorus alongside a second syncopated guitar line, listener intrigue continues to uniformly build across rhythm, tempo, and lyrics. Then, by the second coming of the pleading chorus (But you gotta come home, you gotta / come home first), the need for something to happen – though perhaps not initially knowing what – starts to persist with louder demand. The arrival of an instrumental bridge looks to provide relief for that subconscious need but this is the singular place where Pronoun’s new-kid-on-the-Brooklyn-block status becomes mildly evident. The lack of a truly significant apex point – an explosion in dynamics, a section of layered instrumentation, or even just the familiar but satisfying impassioned guitar solo – leaves “A Million Other Things” standing just shy of reaching what feels like should be, its full potential. The song does close out with some degree of layering when the final set of choruses are delivered in a flawlessly executed, multi-faceted round. When observed by itself, this is somewhat more noteworthy than any of the more comfortable methods of providing a turning point, even if it’s not the choice possibly more expected or desired. Then again, in light of how Pronoun broke onto the scene to begin with, maybe what initially looks like a shortcoming is actually Pronoun just rolling with the unexpected, and genuinely embracing it as part of what makes Pronoun – what Vellturo describes as, “almost like another persona; someone that says and words things in a way I never would” – stand out. “A Million Other Things” is available now through iTunes and streaming on SoundCloud. It was recorded and produced in Pronoun’s bedroom in Bushwick, Brooklyn, NY and mixed by Steve Vealey at Electric Lady Studios. Look out for a debut EP from Pronoun titled, There’s No One New Around You, through Rhyme & Reason Records, due for release in November 2016.